It’s the talk of the town: Carmel’s revaluation that increased property taxes along lakefront property by as much as $30,000 has residents in a tizzy. 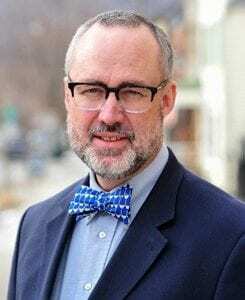 On Wednesday evening, more than 200 residents jammed Carmel Town Hall to protest the exorbitant ta… Please login below or purchase a subscription to the Putnam County Courier to access this content. Movie-like Scene at Carmel Police Dept. It resembled a cops and robbers thriller in Mahopac when, on Saturday evening, a Mahopac man involved in a road rage incident while allegedly under the influence of alcohol broke out of the Carmel Police Department lock-up before being tackled by of… Please login below or purchase a subscription to the Putnam County Courier to access this content. 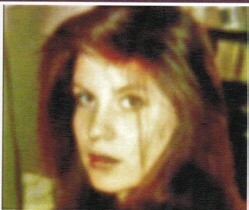 Erin Meagher A highly recognized fixture in Putnam’s business community has been busted, charged with using Chamber of Commerce money like a “personal slush fund.” Erin Meagher, 26, of Brewster, CEO and Executive Director of the Gre… Please login below or purchase a subscription to the Putnam County Courier to access this content. Congressman Sean Patrick Maloney addresses a large town hall meeting in Brewster Sunday. 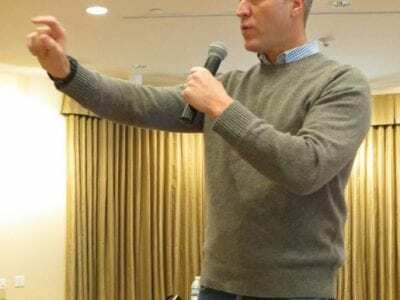 Congressman Sean Patrick Maloney arrived 20 minutes late to a town hall meeting Sunday yet the 200 in attendance at the Starr Ridge Manor Conference Center in Br… Please login below or purchase a subscription to the Putnam County Courier to access this content. 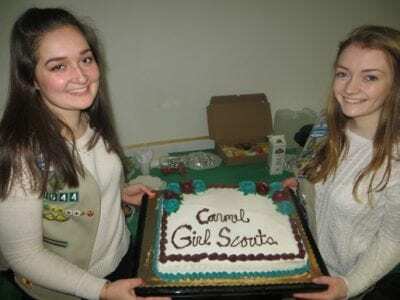 Girl Scout Gold winners Caraline McDonnell and Kristen Stoecker hold a cake recognizing the scout movement. It’s often been said that the foundation of knowledge removes one’s fears, while supporting each other results in a spirit of togetherness all… Please login below or purchase a subscription to the Putnam County Courier to access this content. 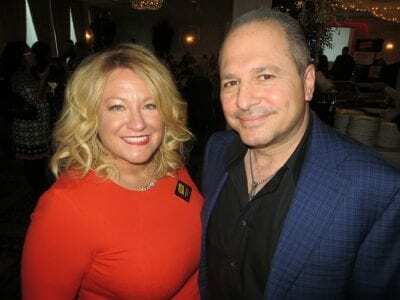 The recent arrest and firing of Mahopac-Carmel Chamber of Commerce CEO Erin Meagher for alleged misuse of Chamber funds has thrust a lot of negative attention once again upon our county. On the heels of the Patterson and Mahopac Fire Department embe… Please login below or purchase a subscription to the Putnam County Courier to access this content.